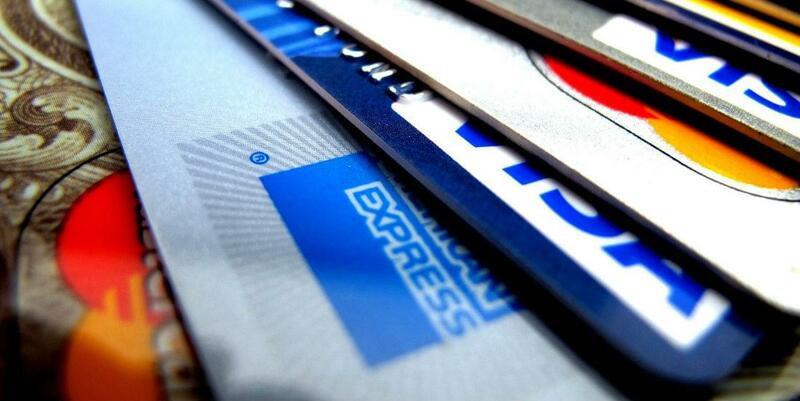 American Express is one of the leading companies offering reward credit and charge cards. Some cards are branded and offer loyalty currency from airlines such as Delta and JetBlue or hotel chains like Starwood or Hilton. American Express also has its own incredibly popular Membership Rewards program, and those points are coveted by frequent flyers since they can be easily transferred to a number of airline and hotel partners. You’ve probably got at least one card from American Express in your wallet right now. If you do, you should take advantage of Amex Offers, also referred to as sync offers because you sync the offers to your account by logging in to your account at Amex’s website or by tweeting offer-specific hashtags on Twitter. The offers can save you some serious cash on travel, gas, groceries, retail purchases, restaurant outings, and more. There are no coupons to use. You just save the offer to your account, make the necessary purchase, and a savings credit will appear on your statement within 90 days of making that purchase. First, you’ll need to connect your Amex card to Twitter. Twitter will ask that you authorize Amex Offers to use your account. If you agree to the terms, sign in to your Twitter account at the prompt. You will be taken to an Amex webpage that asks for your name, email address, and card number. Fill in the fields and click submit. You will receive a confirmation email telling you that your card has been synced to Amex Offers. To learn about current Amex Offers, visit the American Express Twitter page and click on the Favorites tab. These deals change frequently so be sure to check the page every now and then. When you do find an offer you want to take advantage of, copy the hashtag (in the example above the hashtag is #AmexCathay) and then tweet it from your Twitter account. That’s it. Now just make the qualifying purchase and you’ll receive the promised statement credit within 90 days, although the credit tends to post sooner than that more often than not. 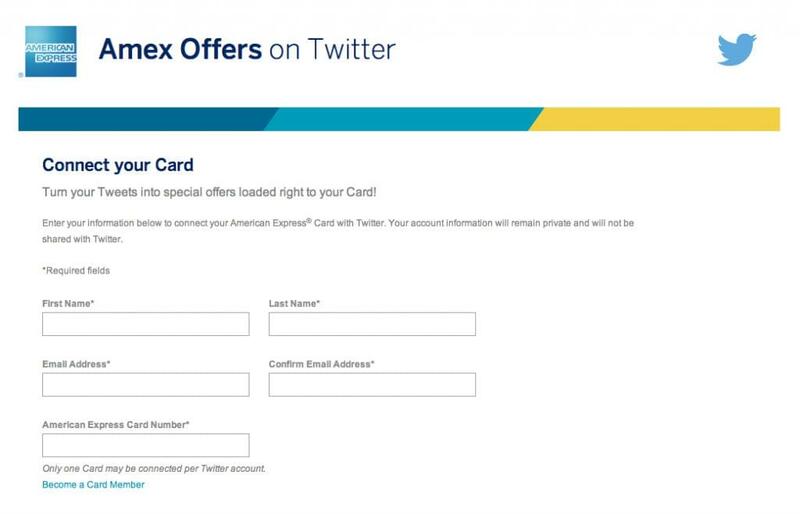 If you don’t use Twitter or would prefer not to sync your account, you can still take advantage of Amex Offers. Simply sign in to your account at American Express website. 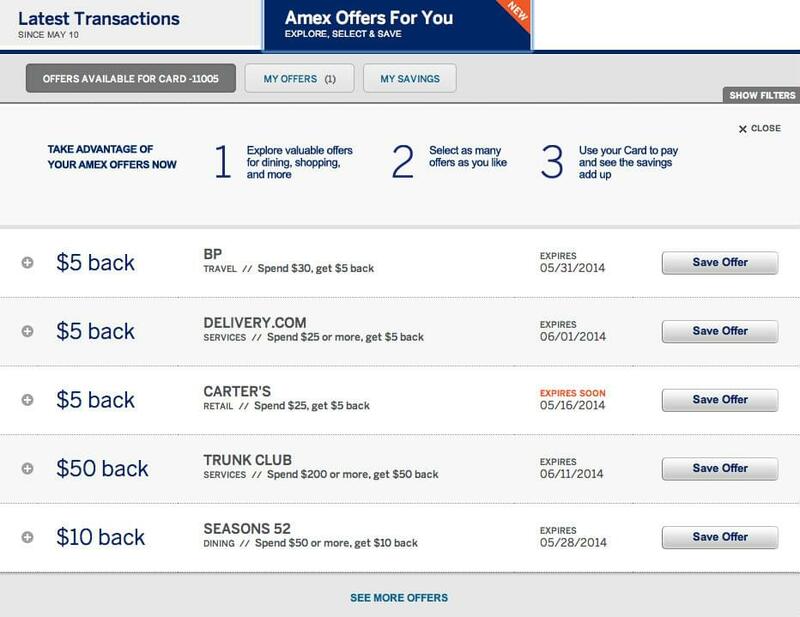 Scroll down on the Account Home page and click on the “Amex Offers For You” tab. Click the Save Offer button for any deal that you’re interested in. Then, make that qualifying purchase and you’ll receive the advertised statement credit within 90 days. The deals Amex lists on Twitter are sometimes different from the ones you’ll see when you log into your account at the company’s website. Its best to review both lists of deals as often as you can so you don’t miss out on money-saving opportunities. Only one Amex card may be connected per Twitter account. Some deals are capacity controlled so sync interesting deals as soon as they become available. Otherwise, you might be shut out. If that’s the case, you’ll receive a tweet from Amex letting you know that the deal didn’t sync to your card. Personal and business cards are eligible to participate in the Amex Offers program. However, American Express Corporate and prepaid cards–with the exception of Serve cards–are not eligible.